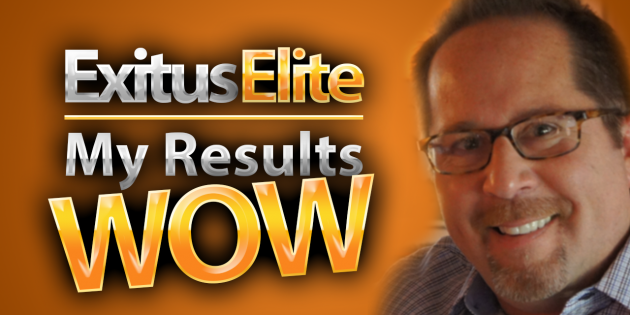 In this post I will be showing you my Exitus Elite results. You will learn how I went from ZERO to 10K per month simply by using “done for you” marketing methods. For a detailed overview on the entire Exitus Elite home based business opportunity click here. Don’t Panic!…I’ve Got You Covered! One of the biggest questions I get from people just starting out in any online business is, “where do I get leads?” “where do I get prospects to show my business to?” Well, Exitus Elite has got that completely covered for you. Even if you’re a stone cold newbie right off the street you can have the Exitus Elite results I’m having by simply logging into your Exitus back office and using the totally “hands free” marketing methods. One of the “done for you” marketing methods I’m using to get GREAT Exitus Elite results is SMS Text Marketing. For just $150 you can get an SMS text blast out to 2000 hungry opportunity buyers that will be re-directed to your high converting lead capture page and onto your presentation. What do you do to set this up?…Absolutely NOTHING. All you do is pick up the phone, speak to Brian and tell him which package you want. That’s it! He does the rest. Another GREAT RESOURCE that I’m receiving good Exitus Elite results with is a third party email marketing service that we’re using. This company has a great track record and has been in the industry for 17 years. For just $100 this company will load your system with 10,000 quality leads (smallest package) and will email them for 30 days promoting your Exitus Lead Capture Page. They also provide you with a Leads Management System that will track your leads. What do you do to set this up?…Absolutely NOTHING. All you do is pick up the phone, speak to Vince, give him you’re lead capture page and you’re done. – Totally done for you! It doesn’t get any easier than this! Here is another genuine “done for you” marketing method that I am using to get Exitus Elite results with. You simply purchase a combination of leads and minutes, tell the company what message to send (these are in the members area) and when you want your broadcast to start. The company takes care of EVERYTHING else! Here’s a brand new completely “done for you” marketing method that just hit our Exitus Elite back office this week. It’s a combination of SMS Text Marketing and Voice Broadcasting from yet another well respected third party company that we’ve teamed up with. Here’s how it works; You purchase the leads and the platform from the company. The company takes the leads and uploads them into your platform. Over the course of 4 DAYS the company then sends your leads a text message and a voice broadcasting message. It’s a four day assault on them. All timed and done completely for you! Thanks for reading my Exitus Elite results blog post. Exitus Elite is BY FAR the most Powerful Automated System that I’ve EVER been a part of. When you can make a $1000 INSTANT COMMISSION using COMPLETELY Done For You Marketing…THAT’S POWERFUL. SMS campaigns are $150 for 2000 leads and blast. Thanks for the message. Get My 'Top Internet Marketing Mistakes' Completely FREE! Your information will not be sold, shared or abused in any way.